The U.S. Federal Communications Commission’s net neutrality rules, passed two years, ago were a “mistake” that caused uncertainty for the broadband industry, the agency’s new chairman said. The net neutrality rules, along with the FCC’s decision to reclassify broadband as a regulated common carrier, “deviated” from the U.S. government’s longstanding light-touch regulatory approach toward the internet, FCC Chairman Ajit Pai said Tuesday at the Mobile World Congress in Barcelona. Pai suggested that broadband investment is down since the FCC passed the regulations, although some net neutrality advocates disagreed. Broadband investment was up by nearly 9 percent in the past two years, compared to the two years before the rules passed, according to digital rights group Free Press. Capital investments from broadband providers in 2015 stood at US$76 billion in 2015, down slightly from 2014, trade group USTelecom said. But that number was the second highest of any year since 2001, according to the group. 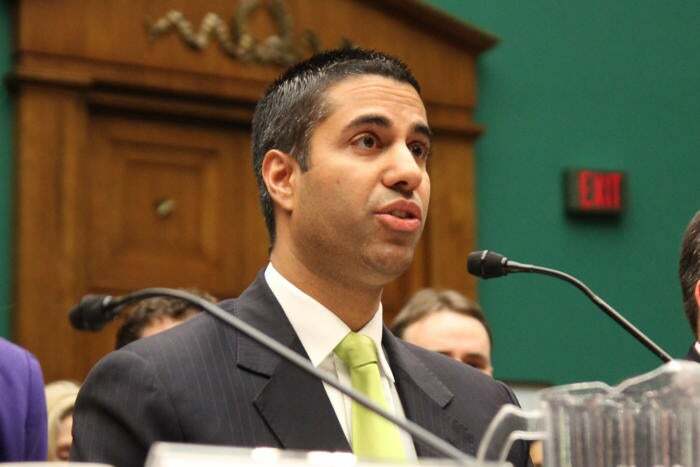 During his speech at Mobile World Congress, Pai said a “new generation” of leadership at the FCC is focused on “renewal as well as change.” The agency will return to the light-touch regulatory approach of the past three decades, he said. Pai touted his decision to end an investigation into so-called zero-rating plans, in which some mobile providers exempted some services from their data caps. Promoters of the free data plans have called them pro-consumer, but some net neutrality advocates suggested that plans may violate the rules against selectively promoting some web content. Under past FCC Chairman Tom Wheeler, a Democrat, the agency claimed the zero-rating plans were anticompetitive, Pai said. “But the truth is that consumers like getting something for free, and they want their providers to compete by introducing innovating offerings,” he said.